Weslake - I Say Ding Dong Shop - Buy Stickers, Decals & Unique Automobilia. Godden Racing Classic Triangular Sticker. Speedway Grass Track etc. 3". 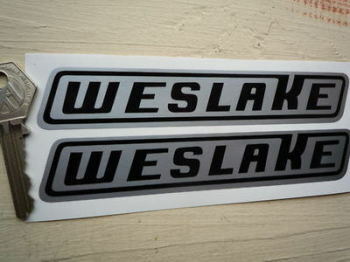 Weslake Black & Silver Slanted Oblong Stickers. 6" or 12" Pair. Weslake Black & White Slanted Oblong Stickers. 12" Pair. 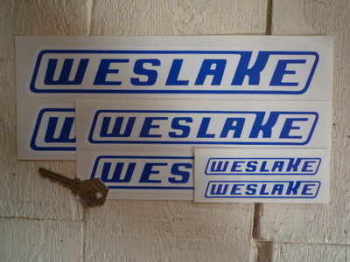 Weslake Laser Cut Self Adhesive Car or Bike Badge. 4" or 6". 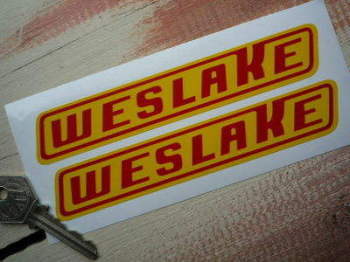 Weslake Red & Yellow Slanted Oblong Stickers. 6" Pair. Weslake Slanted Oblong Cut Vinyl Stickers. 7.5" Pair. Weslake Slanted Oblong Logo Stickers. 16" Pair. Weslake Yellow & Clear Slanted Oblong Stickers. 8" Pair.